An Ideal product for side step development and evasion. 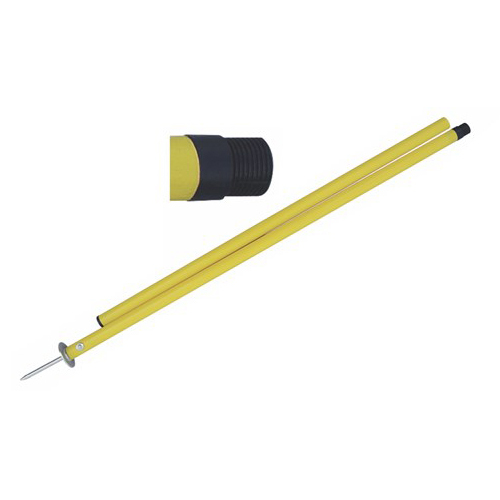 These poles are 28 mm in diameter and come with strong plastic spikes. Better than regular Slalom Poles in durability. More Colours are also available on request. SPL-P16028 ...... ...... 1pc only. SPL-P16028S12 ...... ...... Set of 12 pcs with a carrying bag. These Slalom poles are installed with spring so that they come back if hit which saves time in setting them up again and again. Made of strong plastic (SEP). 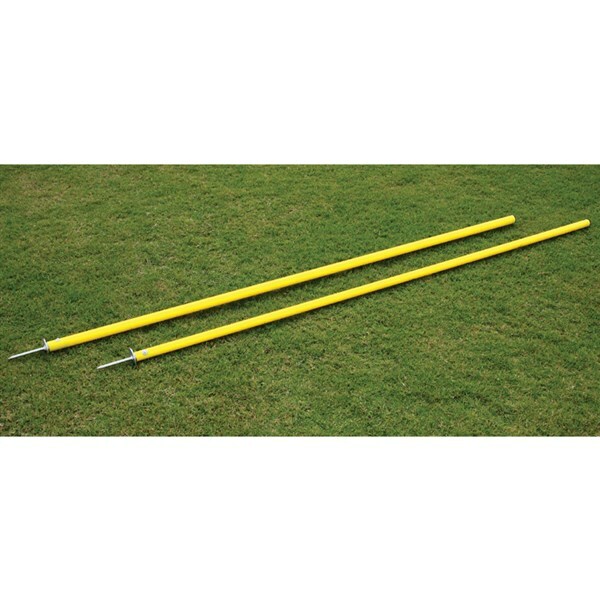 These poles come with galvanized spring and 8 mm thick galvanized steel spikes which can be easily inserted in the ground. Available in different colours, lengths and diameters. 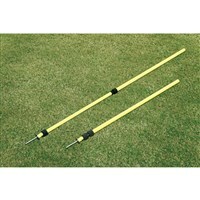 SPL-S160S12 ...... ...... 12 x 160 cm poles (25 mm dia) with a carry bag. 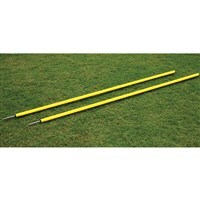 SPL-S16028S12 ...... ...... 12 x 160 cm poles (28 mm dia) with a carry bag. 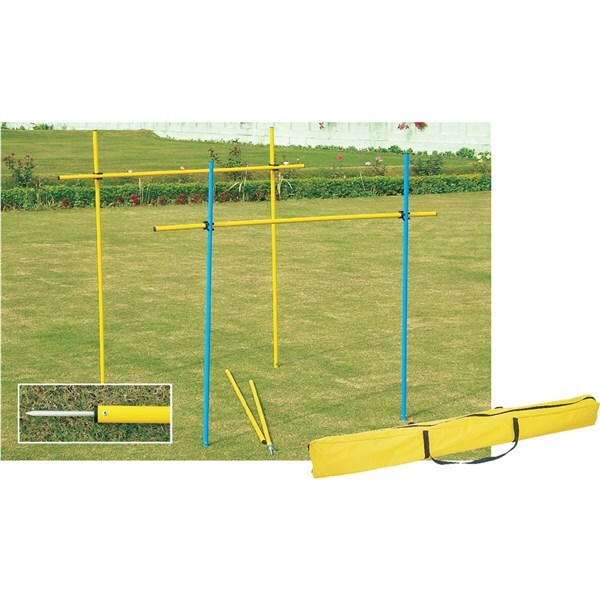 Slalom poles coaching kit includes 6 x 160 cm Yellow Slalom Poles, 6 x 160 cm Blue Slalom Poles, 6 x160 cm Yellow posts and 12 rotating clips to hold the posts. All come in a bag. 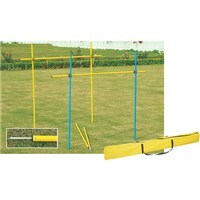 Same kit can also be made for other types of slalom poles available with us. Colours and sizes can also be customized. SPL-TK160D25 ...... ...... 25 mm dia posts. SPL-TK160D28 ...... ...... 28 mm dia posts. Made of strong plastic (SEP). Suitable for side step development and evasion. 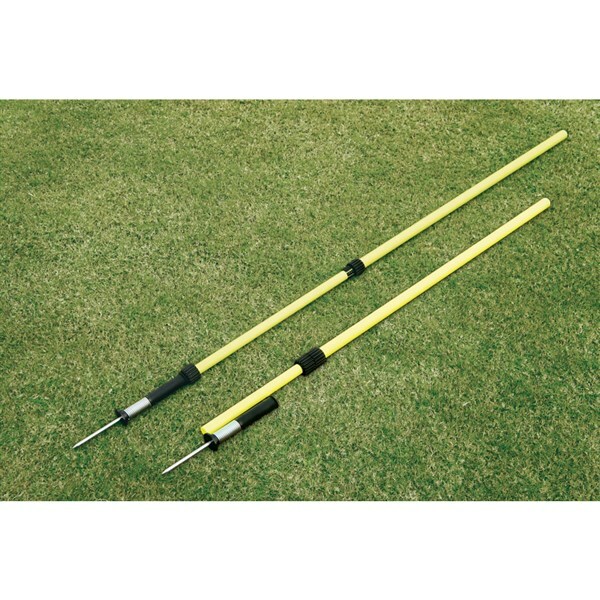 The spikes of the Slalom Pole are only 8 mm thick made of ALUMINIUM which can be easily inserted in the ground. They don't create big holes when taken out. 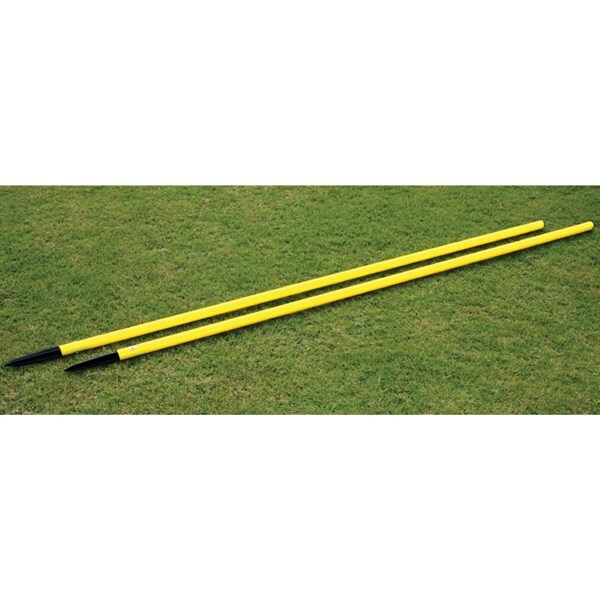 SPL-HD160S12 ...... ...... 12 x 160 cm poles (25 mm dia) with heavy duty carry bag. 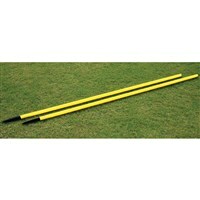 SPL-HD16028S12 ...... ...... 12 x 160 cm poles (28 mm dia) with heavy duty carry bag. Made of strong plastic (SEP). Slalom poles are suitable for side step development and evasion. 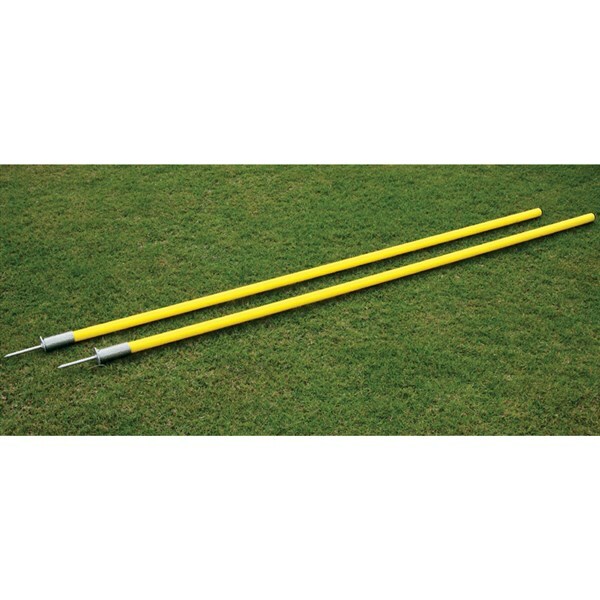 These poles come with 8 mm thick galvanized steel spikes, which can be easily inserted in the ground. SPL-160S12 ...... ...... 12 x 160 cm poles (25 mm dia) with a carry bag. 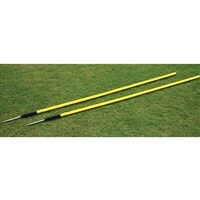 SPL-16028S12 ...... ...... 12 x 160 cm poles (28 mm dia) with a carry bag. Telescopic Slalom Poles, a new Vinex innovation. These slalom poles are adjustable from 120 cm to 170 cm in 4 different Heights (120 cm, 140 cm, 160 cm, 170 cm). Highly versatile slalom pole as compared to the regular slalom poles. Another major advantage of these slalom poles is that these are packed at the lowest height to save transportation cost and space. The volume of these poles are even less than the slalom poles that are dismantled in 2 pc to reduce length. Please ask for more details. 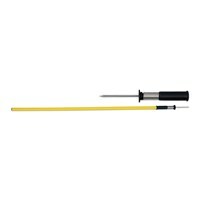 Dura slalom pole features the spring with thick rubber sleeve that helps the poles to return back, when hit. Poles are made of strong plastic (SEP). 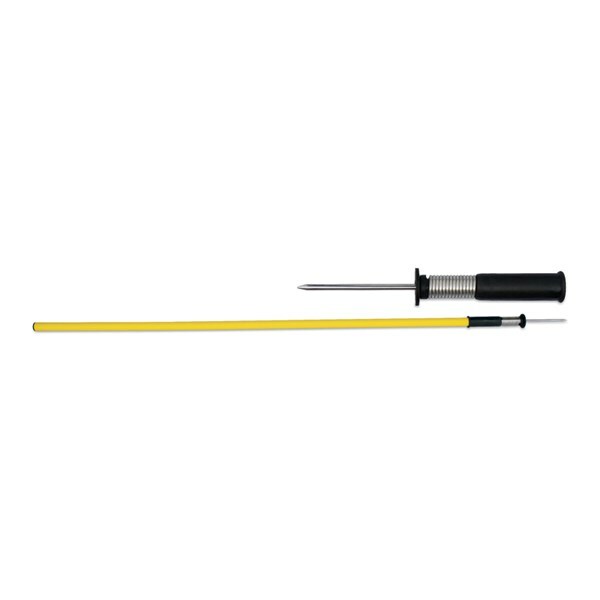 A new Slalom pole with a unique small plastic spike with pointed tip. 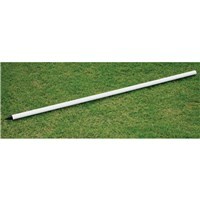 These poles are good for soft ground where steel spikes doesn't hold good and falls down very easily. Poles are 25 mm in diameter & made of strong plastic (SEP). More colours are also available on request. 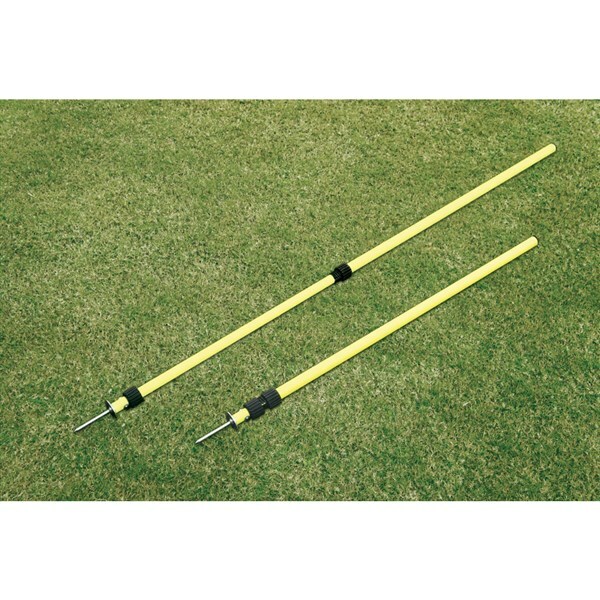 This slalom pole splits from the middle using a unique screw system that assist in storing or carrying poles in a smaller, easy to carry in car boot. Poles are 25 mm in diameter & made of strong plastic (SEP). More colours are also available on request. 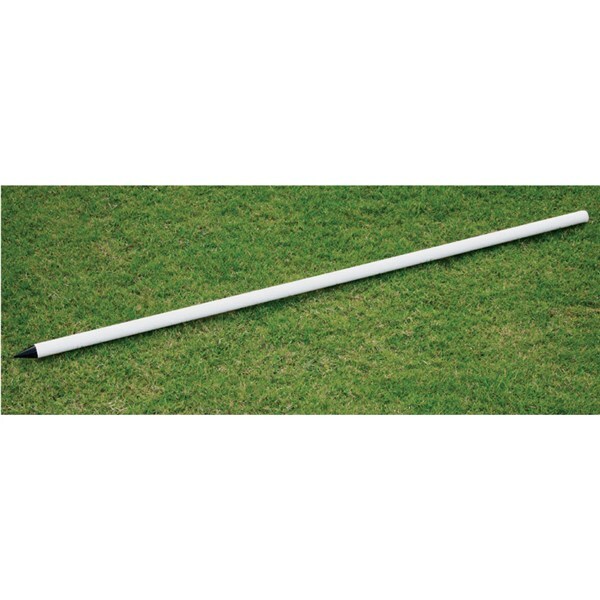 This slalom pole splits from the middle using a push / pull system that assists in storing or carrying poles in a smaller, easy to carry in car boot. Poles are 25 mm in diameter & made of strong plastic (SEP). More colours are also available on request. 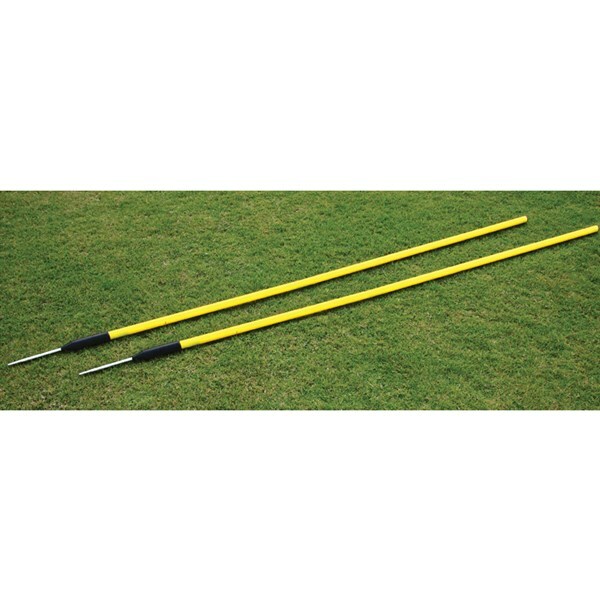 Vinex Slalom poles with detachable spring spikes. Poles is 25 mm in diameter & 160 cm long. It features 2 in 1 function, the spike is removable and can be used as slalom pole or spare pole as required. Made of 25 MM strong plastic tube (SEP). These slalom poles are installed with galvanized spring in middle so that they come back, when hit. 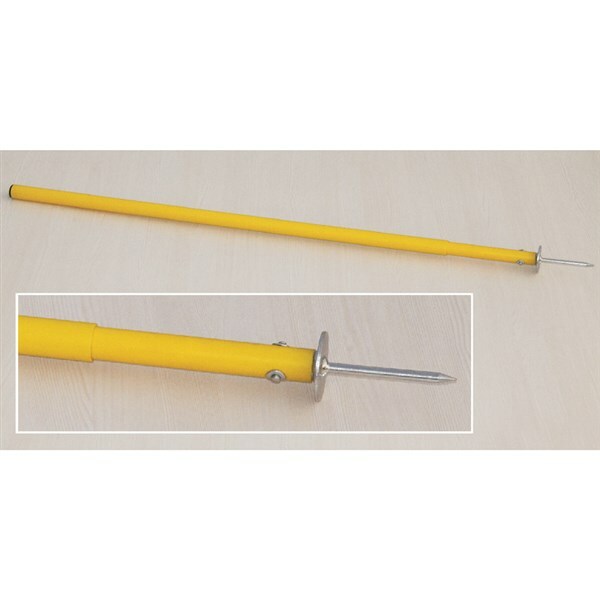 These poles come with 8 MM thick galvanized steel spikes which can be easily inserted in the ground. Made of 25 MM strong plastic tube (SEP). These slalom pole are installed with galvanized spring in bottom so that they come back, when hit. These poles come with 8 MM thick galvanized steel spikes which can be easily inserted in the ground. 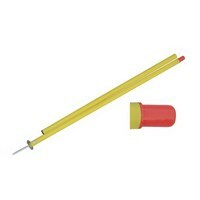 Made of 25 MM strong plastic tube (SEP), with detachable spring spike. It features 2 in 1 function. 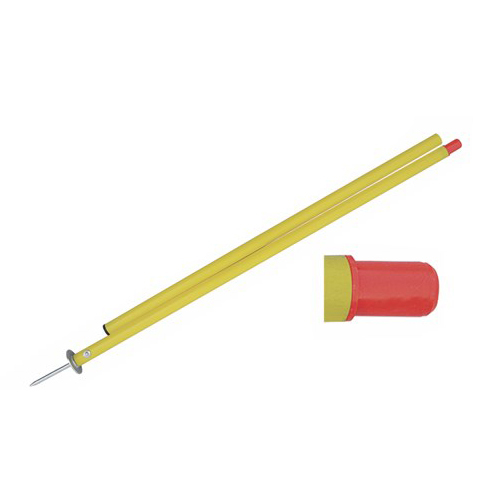 The spike is removable and can be used as slalom pole or spare pole as required. 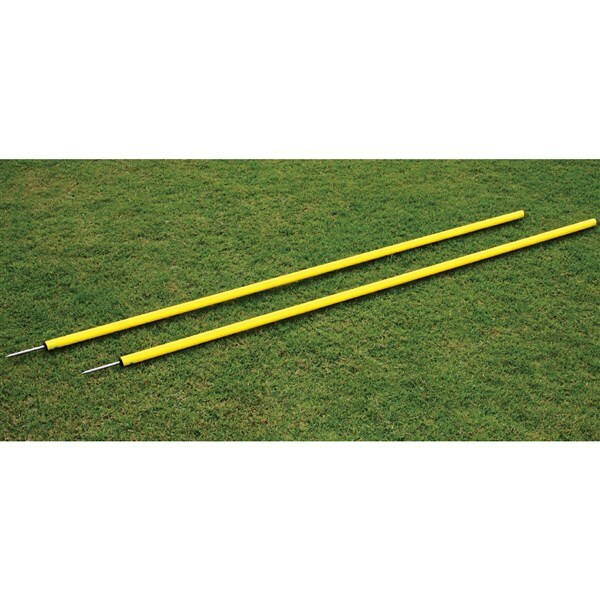 These slalom poles are adjustable from 112 CM to 180 CM with quick adjustable screw lock mechanism. Made of 25 MM strong plastic tube (SEP). 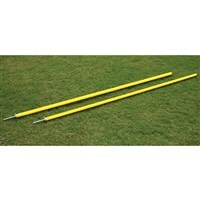 These slalom poles can be adjusted from 100 CM to 180 CM using the adjuster attached to the poles. 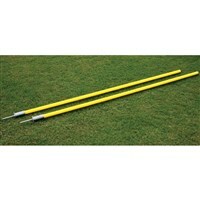 These poles comes with 8 MM thick galvanized spike, which can be easily inserted in the ground. India's biggest Manufacturer and Supplier of Athletics Track & Field Sports Equipment and Accessories. Manufacturing more than 2650+ products. An ISO 9001 and SA 8000 certified company. Awarded No. 1 since 2004-05 for Highest Exports of Athletics Equipment from India by SGEPC. We are exporting to 150+ countries including given below countries. Be the first to know. Sign-up for newsletters today.